we’re excited to giveaway a blush from their latest collection! 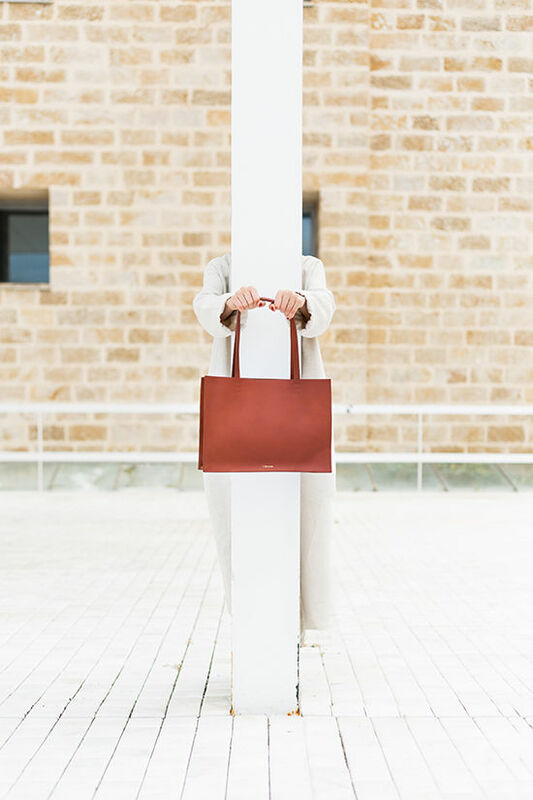 each bag is handmade in spain and they come in the most beautiful colors. 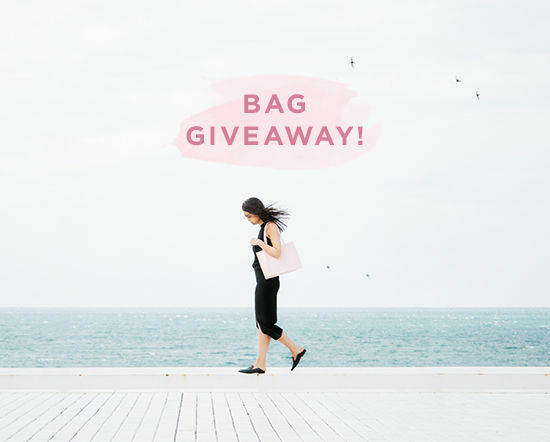 one lucky winner will receive their new blush pink tote, and it comes with the cutest little clutch inside. click through below to enter and get an exclusive discount on their entire collection. good luck, everyone! 1) visit the cueroandmor and take a look around! one winner will be chosen on wednesday, august 31st at 10am PST. use the code DLF10 for 10% off through 8/30. open to international readers! the blush mini tote please! gorgeous. The color is just amazing and so unique! My heart can’t decide between the cognac mini tot () and the forest crossbody (). The green color is so amazing! The bucket bag is really cool. The blush tote is super cute! The mini tote bag is definitely my favorite but I can’t decide for the color. I love them all! I love bucket bags and this black one looks like an amazing closet staple! & blush is such a pretty and feminine shade, it looks so great on the tote! I love the black, alhambra and blush colors in the crossbody, but my fav must be this one: (blush bucket)!!! this bucket bag is everything! I have never heard of this brand, but I am totally hooked! Love basically everything in black and blush. Favorite is the mini tote, and the bucket is really different and interesting! Oo, la la! The black crossbody is perfection () and the black mini tote would be great for work ()! The pieces are very chic and simplistic in the best way. Fantastic colors and a quality product, how can I pick a favorite? While I love all the colours and styles, the black tote is calling my name. that color is just so pretty!! So pretty! This would make a great grad school class bag. Love the blush and Alhambra crossbody! The buckets are just so cool and unique! I’m really loving all those! Beautiful bags. Besides the blush tote, I also really love the crossbody. In black it’s so simple and classic! Love the blush tote and also the forest crossbody! I think this one is gorgeous! Definitely the blush mini tote! The forest is gorgeous, although, it’s hard to go wrong with a cognac or blush. Thanks for the opportunity! I love the blush tote and I also think the bucket bags are super cool. The cognac leather is so pretty! Immediately fell in love with this one. It goes perfectly with any style. I love the blush mini tote and the blush cross body. 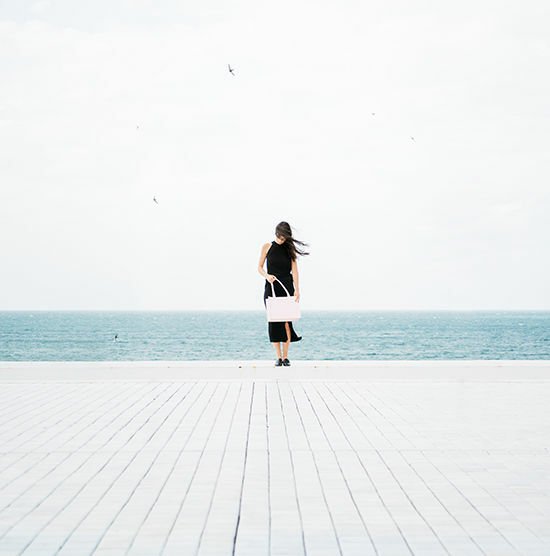 Thanks for sharing – I didn’t know this designer! There bags are so timeless and I know my mom would LOVE that blush tote, I would definitely gift this to her if I won. My favorite of there other bags is definitely the little crossbody, it’s the perfect size for an everyday bag! Really love the forest green color too! Black Mini Tote for the win! The bucket bag in Cognac! I mean, I wouldn’t turn down any of these beauties but these are by far my favorite. I have the problem of always buying the same color bags (normally a tan, beige, camel or black) but I’m in love with the blush and forest! I mean, one of everything really! What a beautiful line. Fingers crossed! The Forest Bucket bag would make the cutest camera bag! Also in love with the Mini Tote for every day! The Mini Tote is what dreams are made of! I love the tote bags and the crossbody ones. I’d love to choose blush but I think I’d choose black or cognac. The forest tote is amazing! Such a gorgeous color palette all around though. Impressive collection! These are so chic! I like the Alhambra crossbody, Cognac tote and Black mini tote. My personal fave! Simple and love the structure! Oh my, that cognac tote is speaking my language! Wow! Such beautiful design. I love the Alhambra Crossbody () and the Black Tote (). mimi tote, in cognac for the fall. classic, easy, practical and beautiful all at the same time. I adore that blush mini tote!! It’s so fun that there is a detachable clutch. That is just for perfect day to night transitions! 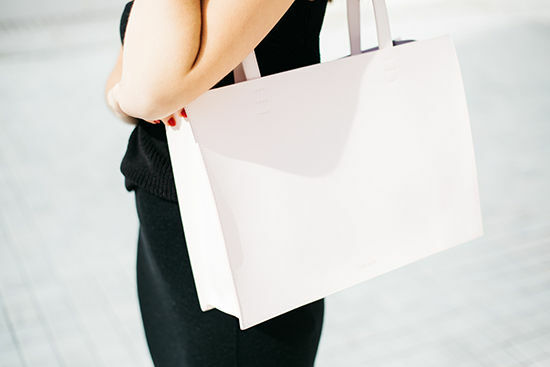 I actually really love the blush tote, but if I was choosing another, it’d be the mini tote: . I love the bucket bags too! All in Blush! the blush tote is amazing, but this cognac tote is just such a classic color! The bags in forest green are exquisite. That is a perfect green. << googly eyes. The bucket bag in forest green is amazing! I love cross body bags! And this color is just to-die-for! Problem is, it’s so hard to choose which color! The blush tote! & this one!! Love all colors of this stylish bag! These bucket bags are too cute!! The Black mini tote is to die for! *-* wonderful bags! I like this one the most What colour!! I love the black mini tote it looks so classy and would look good for my everyday work tote.. I would love this style! love the blush bag!!! but I also love the shape of this bucket bag! Lusting after that forest green bucket bag! Oh man, the forest tote is gorgeous! It is professional but still so fun. And the cognac crossbody has a great clean design! Completely love the ALHAMBRA CROSSBODY. It’s so simple and chic! and for a fun switch up from my usual, the cognac and forest bucket bags would be perfect! LOVE the blush and forest crossbodys! I love the shape of the buckets! the forest bucket is stunning! Thank you Bri for this blog, I’ve had ups and downs and reading this over the past 6 years has always been such a treat, you are beautiful and relatable and hilarious! Cheers! love the blush & black mini totes!!! Oo, I love this one! I love this cross body purse! you guys come up with the best giveaways. these are my faaavourite! I’m in love with the bucket & cross body styles. Perfect in Forest and Cognac for fall! The perfect everyday crossbody bag! I also love the regular tote, especially in this fun winter color! I like the blush mini tote and the cognac mini tote. The forest color is also really pretty, but i’m not sure how versatile it would be. I’m usually not a pink girl but I’m in love with this. I love the structure of the Alhambra Bucket bag but also how it has a zipper! But I also love how classic the Crossbody is too. Love these bags. So simple and chic. This bucket bag is probably my fave but i love them all. The Crossbody in Cognac is just perfect! Cushing on the black mini for my new fall bag! I LOVE the Black Mini Tote. So versatile! Perfect for work, weekend getaways, etc. Classic look. I love this bucket bag! This bucket bag is everything! Especially in the Forest Green!!! Can we talk about the amazing colours these bags come in? Totally heart eyed over The Forest Crossbody and the Cognac Mini Tote!! i love the same mini tote style, but forest green color is my favorite! it’s so its simplicity is beautiful. I just love the cognac mini tote, a perfect compagnion ! FOR SURE! It’s so beautiful! Love love love the blush tote/mini tote. The Forest Tote!! Love it! The color is amazing! So many cute things, but I’m leaning toward this one. Black bucket bag is bomb. I love the blush mini tote! I love this camel tote. Also, who doesn’t need a black cross body? The bucket bag is such a fun shape! Looks sturdy, too. so pretty, love the color! The tote is just lovely! the Alhambra Crossbody is mah fave! I’ve been looking for a bag just like this one! Glad I found it. Absolutely love the blush! Gorgeous!! I’m obsessed with cognac color so there you have it: the cognac tote! I love it!!! This is so cute. I love the cognac color and the size of it. Perfect for day or night! So much love for this green! I love this cognac color! Love love love this brand!! I absolutely love the cross body in blush!! It’s so light and beautiful. You had me at PINK! I love the give away mini tote the bestest! Such beautiful designs; I love the clean lines. I think the forest crossbody is my favorite! The bucket bag is probably the most unique though, and the mini tote would be so practical. Very cool! crossbody and bucket bags are the best . I’ve had my eye on a new cross body bag over at Kate Spade, but this blush cross body just made me forget about that! IT’s STUNNING. So simple, but so perfect. I love the gold detailing too. the bucket bag is amazing!! The bucket bag in green is beautiful. This cognac crossbody is gorgeous! This has got to be the most amazing tote I’ve ever seen. The Forest Bucket is absolutely stunning! I adore the forest bucket bag & blush crossbody! looks like I’m one of many who love the cognac tote! The Cognac Crossbody (), the Forest Bucket () and the Blush mini Tote () are amazing! The colors are stunning! I want them all! Love the forest colour, especially the bucket. Super excited for a competition open to international entries! Simplicity is often the most chic when it comes to accessories! These are gorgeous bags! Thanks for the giveaway. I love the bucket bags, they’re so cute! All the bags are stunning, but I especially love the cognac tote () and the forest mini tote () ! My favorite is the forest bucket! The bags are all so beautiful but my favourites are the blush bucket and the cognac mini tote! 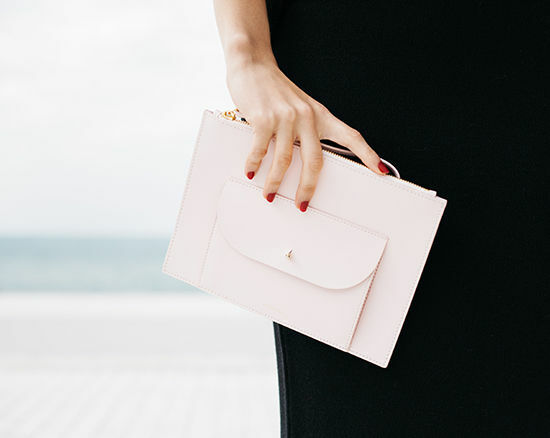 but any of these bags could be a classic, so chic! Every bad is classic and gorgeous. I am obsessed with the Cognac Mini tote (also love it in black and blush.) It would be perfect for work and traveling. The crossbody is perfect for a fun and flirty night out on the town. I love the black bucket! & the Blush mini tote is gorgeous. I love the black mini tote () it seems so confortable and it’s a classic timeless bag! I also love the black crossbody () it is really chip and so suitable for different occasions! ; love this classic style. I love the black cross body! The cognac is also to die for! is gorgeous and classic! The blush tote is heavenly as well! Wow I love this and the black tote So pretty! The bucket bag in cognac is so on point! Minimalist, structured, and feels modern but can totally be a classic. AND THIS AND THIS ONE TOO ! Thanks for a lovely giveaway! why are these all so cute?! that blush crossbody bag is literally a knockout. i love, love the blush tote – but also LOVE the proportions of the bucket bag! wow. oh my goodness! the blush crossbody () and the blush mini tote () are both so lovely! Really digging the blush crossbody. FOREST MINI TOTE – The perfect one. Wins by perfect match of simplicity of form and sophisticated, yet exciting green color tone. Feminin and modern. GORGEOUS. The cross body bags are up my alley as well. Gosh they are all so stunning and chic! This cross body is everything!!!! Blush is my newest obsession. I love the Cognac Crossbody () & the Black Mini Tote () would be absolutely perfect for work! You know the feeling of guiltless pleasure and satisfaction you get when you eat chocolate chip cookie dough on your period? This brings those feels. The blush cross body bag! Either the blush or the forrest cross body bad – both colors are amazing! Georgeous! Especially in this color. The Forest Bucket is to die for!!!!! I love all of their pieces. love love love all but especially the mini totes! all colors but the pink is cute and unexpected. black is so easy too! and tan! ah!
. Loooove all these beautiful bags! The forest green colour with the gold zip detail on is stunning and a real feature piece! In love with the forest cross body!! The cognac tote os another fav! Love the blush cross body and the cognac tote! YES! This bag is adorable and a great color. >>> for sure the Blush tote! >>> and the cognac one! The forest bucket tote is so great for fall. The blush mini tote is beautiful. I love the mini clutch too! the cognac tote is stunning. you really can’t go wrong with this one as it is the perfect color for soon-approaching fall. size is great for day trips, a work bag, or if you’ve simply got a lot of stuff. absolutely love the little clutch that comes with it. can be used as a perfectly matching wallet or a clutch for the necessities on a night on the town. This Forest Bucket immediately caught my attention. Not only is its color eye-catching (shouts high fashion! ), the style is so unique. This can really uplift a simple t-shirt and denim outfit! It will definitely get anyone’s attention. All the cross body bags…especially the Cognac, Blush and Forest colors! I’m completely in love with this cognac tote !!! It is simply perfect ! I would love to have it !! Definitely the forest bucket … No wait. The Alhambra Mini Tote! How can one deside with all these georgeous bags? Would wear them all with proud! I love the alhambra cross body!! I would wear it all of the time!! The Alhambra Crossbody is the most perfect bag! LOVE the forest bucket and all those totes. i love the cognac mini tote – simple, classy, chic. Loving the blush crossbody and black mini tote! They are all so beautiful, classy and so delicate. Hard to choose one ! Love the simplicity and lovely color of this blush mini! I love the blush mini tote, but I am also really feeling the forest bucket bag! I love the crossbody bag in an unexpected color like Forest. So pretty and chic! Besides the amazing blush tote? There are so many to choose from! this is goal <3 delicate and classy! The blush mini tote is a gorgeous color, and I love the Crossbody Bag in Cognac as well. I just love the Alhambra Crossbody! SO CUTE! I forgot to leave the link! ahh it’s all so nice! Beautiful! The cognac tote is my favorite and perfect for work. I’ve been looking for something that is professional, functional and beautiful! They are all gorgeous! But if I had to pick a favorite. It would be. What a lovely shop! Thanks for sharing this gem with us. I love the colours they have, particularly that forest green colour. Yum. On a bucket bag, and I’m in. I actually really love the blush mini! although, the blush bucket is a close second! I love the simplicity of the crossbody!! you picked it! that blush mini tote is too cute!! Love love loving the buckets and crossbody. I think this is my favorite since I have no bucket bags! ugh those blush mini totes are so gorgeous! The blush bucket is amazing! Unique shape and lovely color! It makes me think that I can put come champaign in there and go on a little picnic in the park! I love everything and the colors are so on trend right now! My favorite would have to be the cognac tote, classy and stylish. I hadn’t heard of this brand, but their products are wonderful! The mini totes are adorable, but I’m definitely crushing on the crossbody in blush and alhambra! 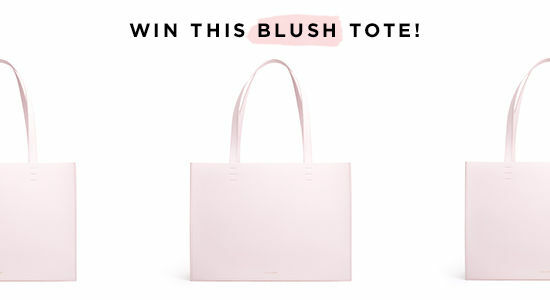 I love the blush tote! How can you not love any one of these totes! The detachable clutch makes it that much better. I do really adore the blush tote. The cognac crossbody is my favorite! I love the alhambra crossbody! So cute! Love everything, and their website is beautiful! The green crossbody, because you always need a small bag and the pop of color is perfect! and of course the blush tote. Perfect bag! Lucky you are giving it away. The mini tote () and crossbody (). Both in blush, of course. love the forest mini tote! And the blush tote is fabulous too! Loving this bucket bag for day! OMG I love all these bags. Obsessed with this bag and . Both would be great for my upcoming trip to Europe! So in love with the blush cross body! I love the little crossbody and the tote! a must! I adore the bucket bags! The cognac or the forest… hmm! But that blush tote? Swoon! I love this blush tote! I loooove the Forest Crossbody, as well as the Blush mini Tote! Oh I love the forest bucket! I love the Alhambra bucket bag! Forever in love with the black bucket bag! I love the blush tote and this cross body! OMG! I really love this bag website! Even if I do win this giveaway,I need mutiple of these bags! My favorite style is and I picked black because it will match with everything! I love the forest crossbody – favorite color ever! I love the blush tote and the crossbody! I love the cognac crossbody! This cognac tote is to die for! I love the black crossbody! The blush crossbody is gorgeous! I love all of their color choices but the forest green color is really speaking to me! Yes, Iˋm in with all blush bags, my favourite is the tote bag. What a genius color, and btw all the photos are gorgeous! Lovely! Love the Alhambra bucket bag! Free worldwide shipping!? Whaaattt!? Yes! Black mini tote please! OMG OMG free worldwide shipping?! Great!!! oooo i love this bag and color! What a classic and stunning bag! especially in black. I love the Forest Crossbody! I wear a crossbody bag everyday and this one is perfect!! I love the blush tote and forest crossbody.. But if were to buy a bag, I’d get this one . Black is always timeless! I need the black crossbody bag. They all look soooo beautiful!!! The blush mini tote is my favorite! Beautiful! I’m in love!! Gorgeous bags! Love love love this bag!! Oh man, so hard to choose… I love the blush cross body and the cognac tote though. I LOVE THIS BAG! and this website!! I want the bucket bag and the tote!! Thank you for introducing me to this brand! All of their bags look amazing – simple lines but elegant design. I love the mini tote (and the adorable clutch!!) but I think I would go for the Alhambra Crossbody () because it looks like something I could use everyday! Absolutely beautiful bag and color- I love it! Fingers crossed! I also really love the black crossbody! I love all of the bucket bags! The Forest color is my favorite. How cute and pretty is this pink tote! Absolutely love the blush tote but this crossbody one surely comes second! This is awesome! It’s so hard to choose, they are all so beautiful and minimalist.Love it. I love the blush mini tote! The color is amazing! so much to love! the mini tote is prob my fav! The Alhambra mini tote is lovely! Such sleek design & great colors on all these bags. the blush crossbody is to die for!!! Good Luck Everyone! I love the cognac tote bag and the black cross body bag! The ALHAMBRA MINI TOTE is so gorgeous! They are all beautiful, but the blush tote is really my fave!! Geez. Those totes!? So simple and elegant. Those Forest Crossbody is pretty cute too. But the black tote? Gorgeous. I want them all, but since I have to pick the blush crossbody is by far my favourite! Love the Alhambra Mini Tote! The Blush Crossbody is great! The alhambra Crossbody has a great color! i have never owned a tote before, so i guess this is my first time looking at totes to buy! I need these in my life ! Absolutely love this, it’s beautiful! These bags make me dream of fun nights in Barcelona and Madrid! Dead, dead, dying. These are slaying me. oooh! or the blush bucket. mmmm, now i’m dreaming of leather. ANYTHING in the forest green color – so lovely! Perfect for fall! I definitely love this one!!!! Предлагаем вам со скидкой купить постельное белье недорого у нашего менеджера.